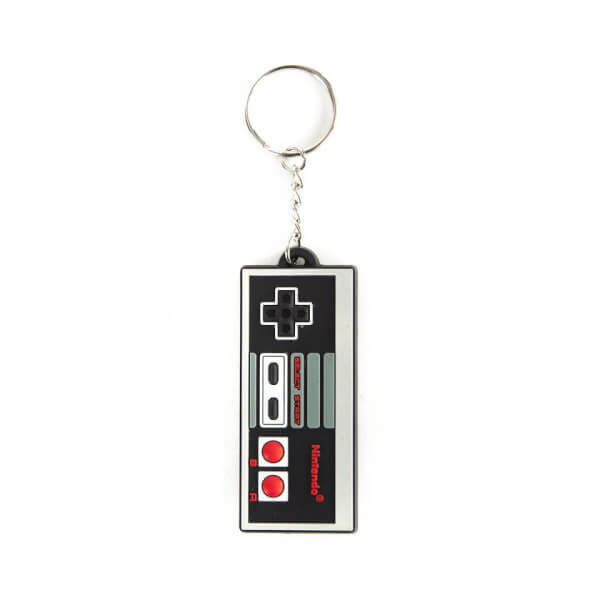 Looking for the perfect retro gaming gift this holiday season? 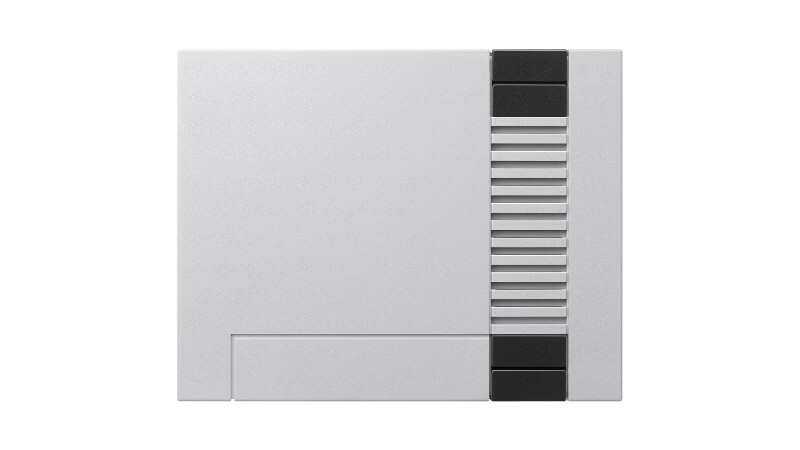 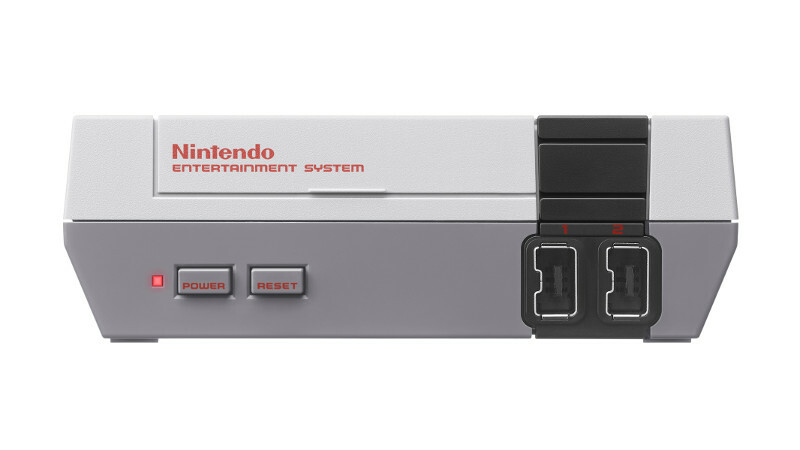 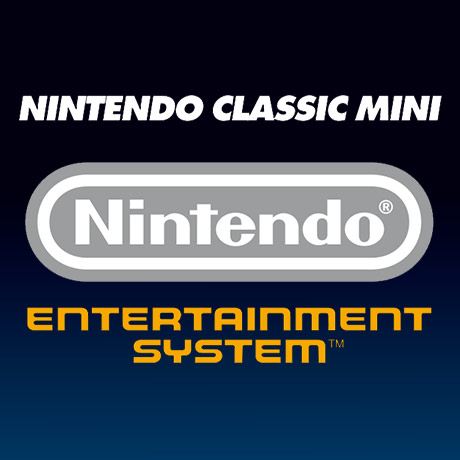 The Nintendo Classic Mini: NES and SNES are full of great classic games. 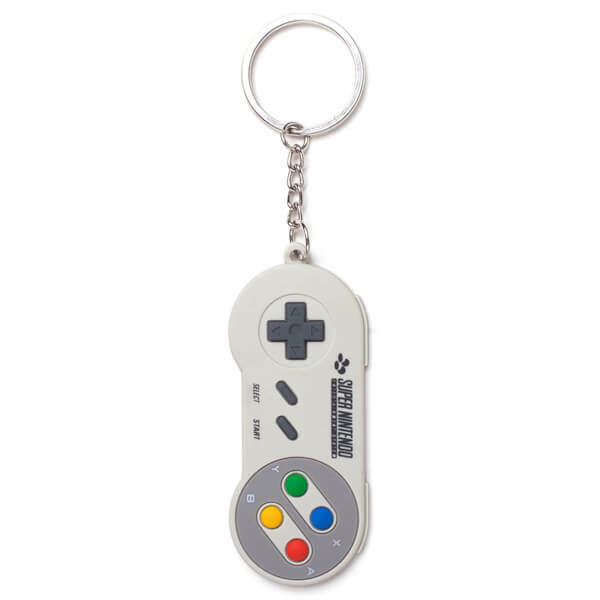 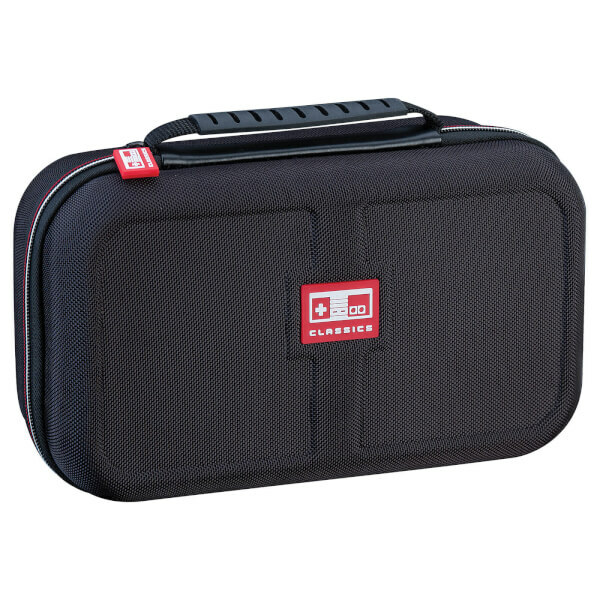 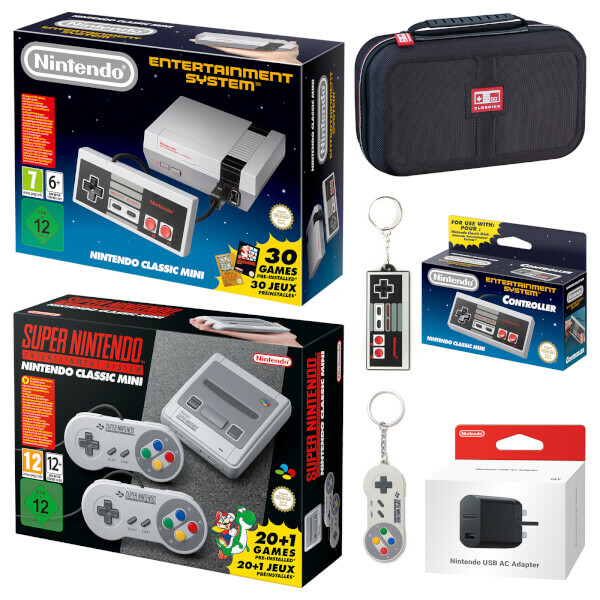 This bundle includes a Classic Mini: NES, a Classic Mini: SNES, a Nintendo Classic Mini Deluxe Travel Case, a Nintendo USB Power Adapter, a NES Controller, a SNES Key-Chain and a NES Key-Chain. 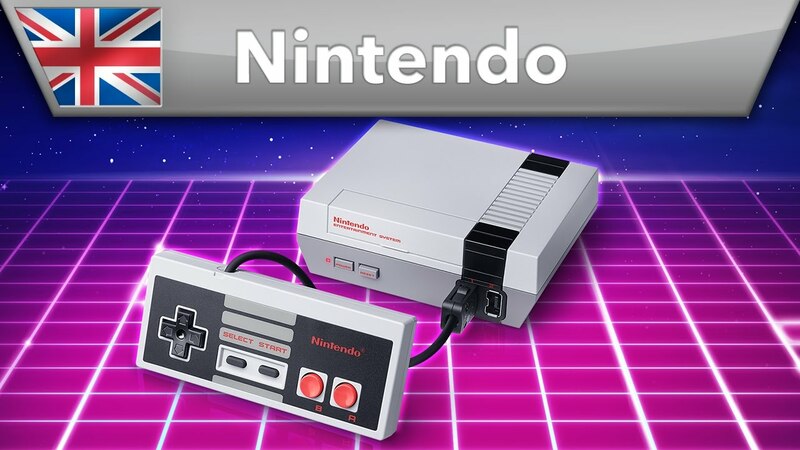 Included with the Nintendo Classic Mini: Super Nintendo Entertainment System are one HDMI cable, one USB power cable*, and two wired Super NES Classic Controllers – perfect for players to dive into multiplayer action right away. 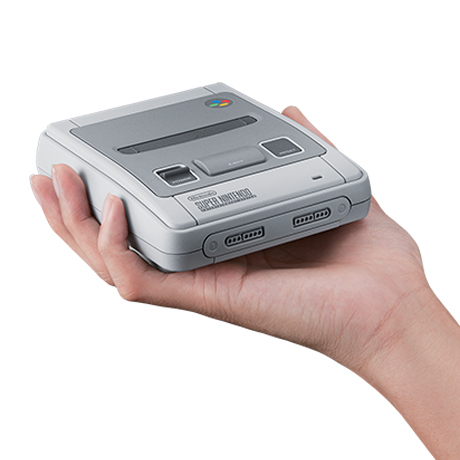 Some of the games with multiplayer options include Street Fighter II Turbo: Hyper Fighting, Super Mario Kart, Contra III: The Alien Wars and Secret of Mana. 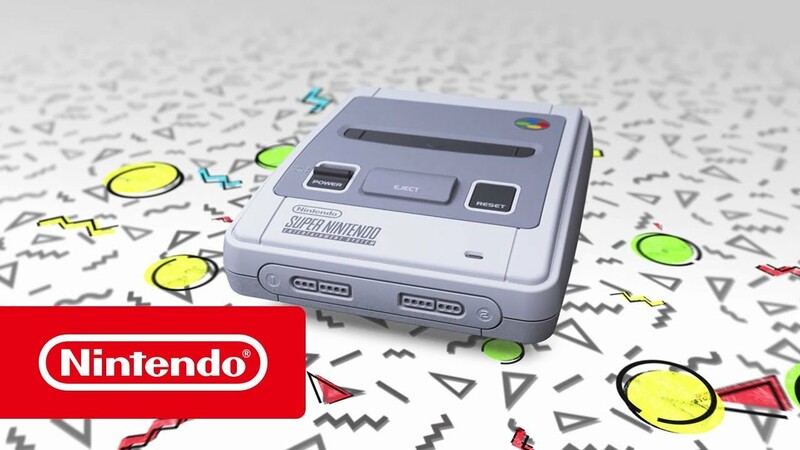 Step back into the 90s and re-experience some timeless classics when the Nintendo Classic Mini: Super Nintendo Entertainment System launches in Europe on 29th September. 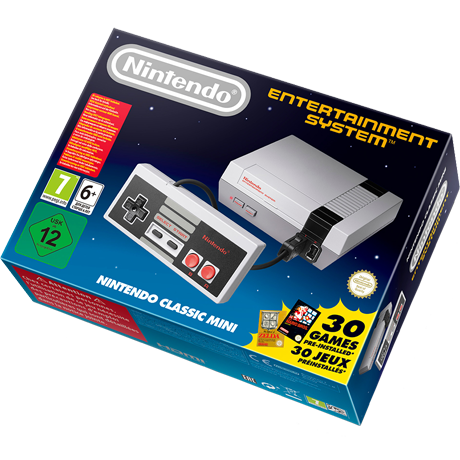 *Note that an AC adapter for the USB cable may be required to play the system but is not included in the packaging. 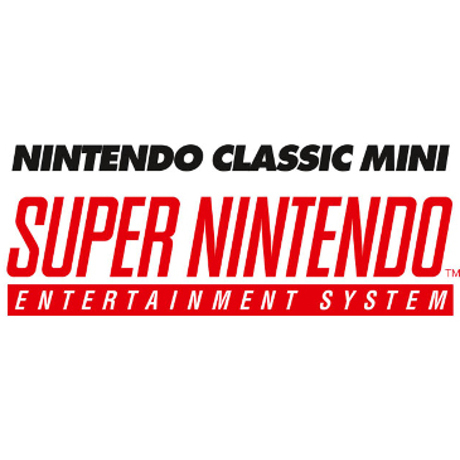 The official Nintendo USB Power Adapter (sold separately) allows you to power your Nintendo Classic Mini: Super Nintendo Entertainment System with any three-pin socket (connecting to the USB cable included with the product). 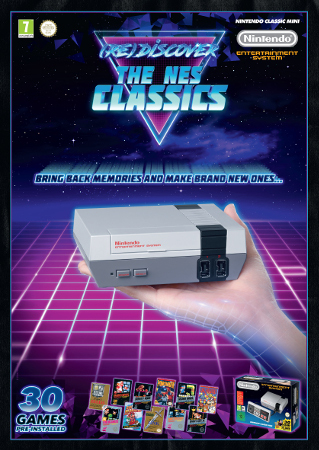 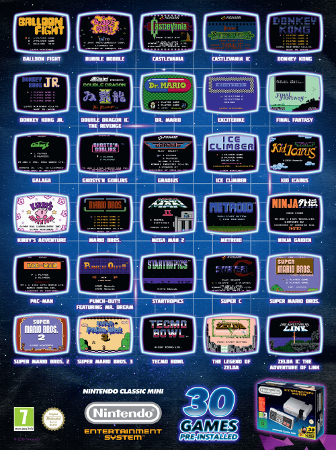 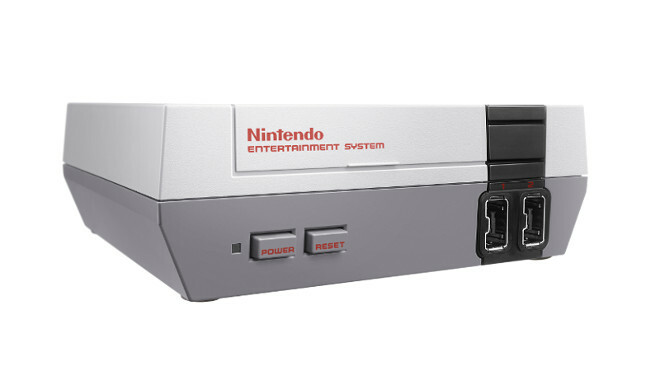 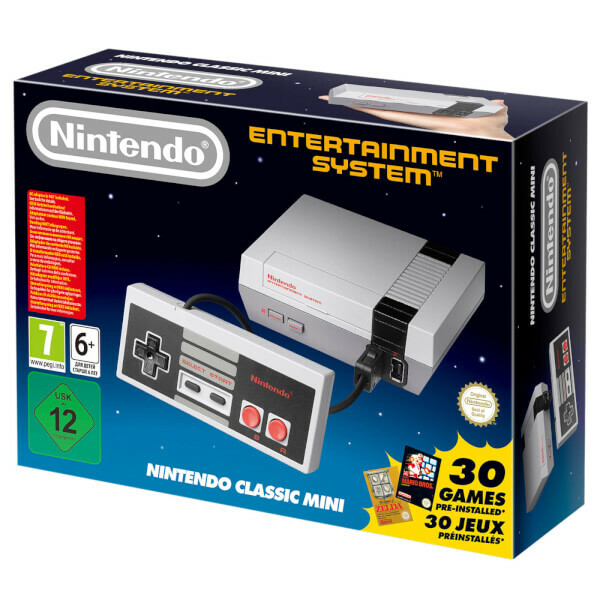 Plugging directly into a high-definition TV using the included HDMI cable, the console comes complete with 30 NES games built-in, including beloved classics like Super Mario Bros., The Legend of Zelda, Metroid, Donkey Kong, PAC-MAN and Kirby's Adventure. 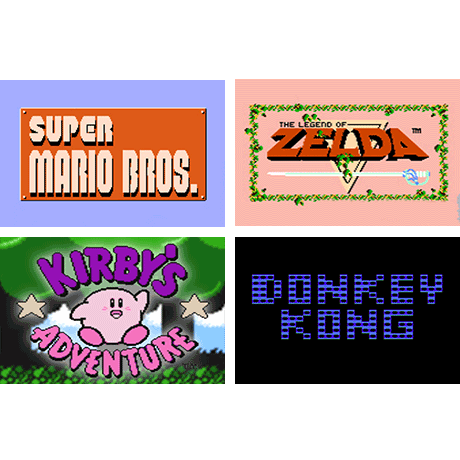 Each title is sure to bring back fond memories and produce plenty of new ones. 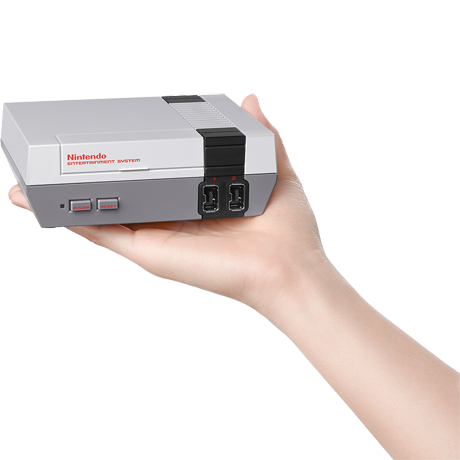 Players can even enjoy playing many of these games together by attaching a second Nintendo Classic Mini: NES Controller, sold separately. 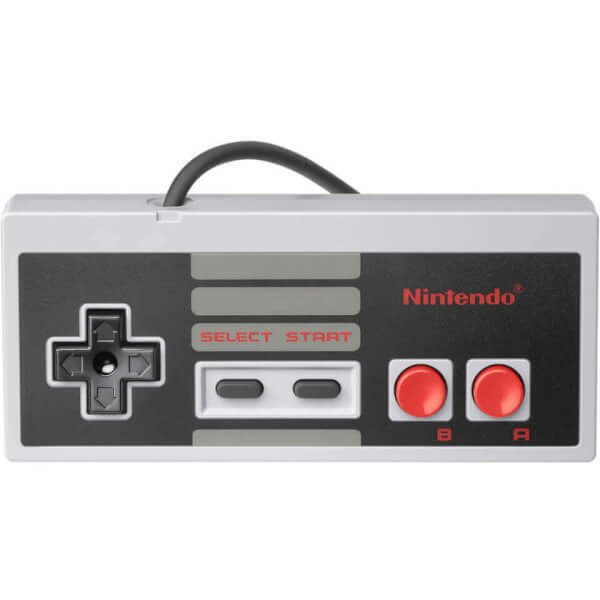 A Classic Controller or Classic Controller Pro for the Wii console can also be used. 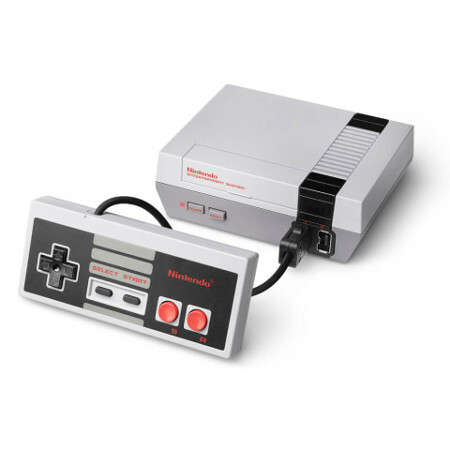 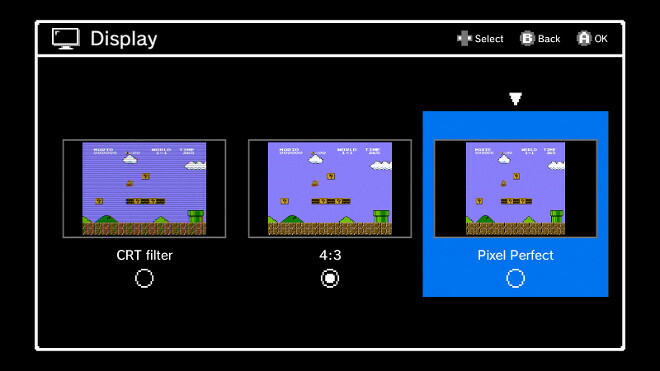 The Nintendo Classic Mini: NES Controller can also be used to play Virtual Console NES games on a Wii U or Wii console. 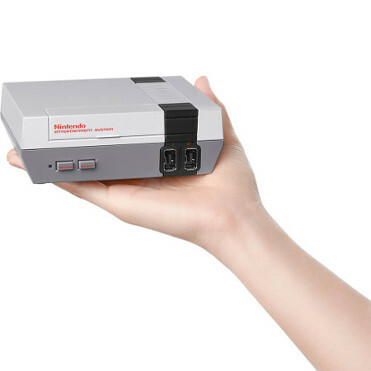 The official Nintendo USB Power Adapter (sold separately) allows you to charge your Nintendo Classic Mini: Nintendo Entertainment System with any three-pin socket (connecting to the USB cable included with the product). 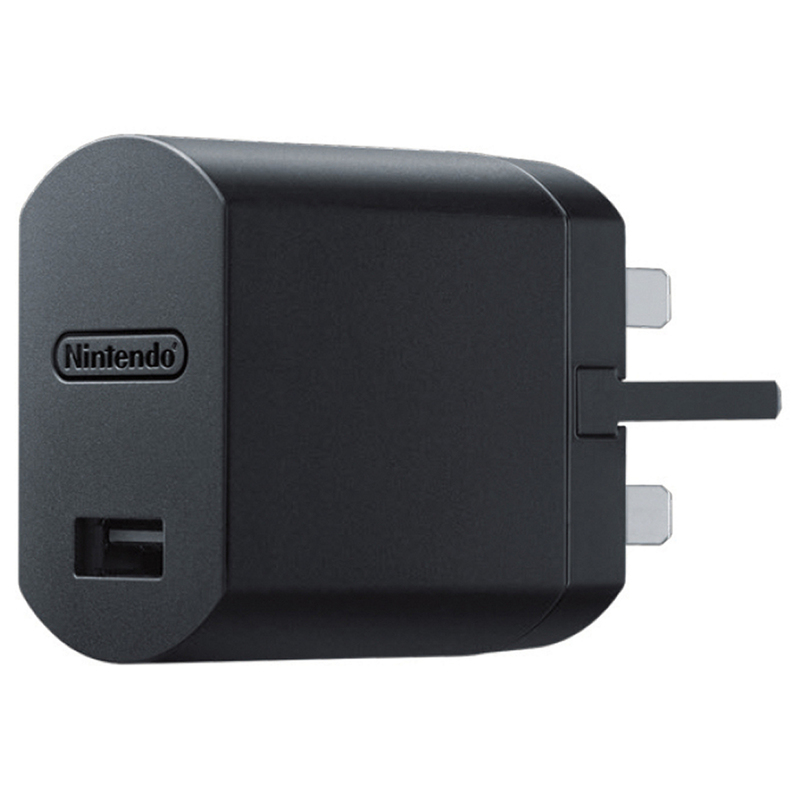 USB Power Cable - suitable for powering the console from a compatible USB port. Please note a USB AC Adapter is not included. 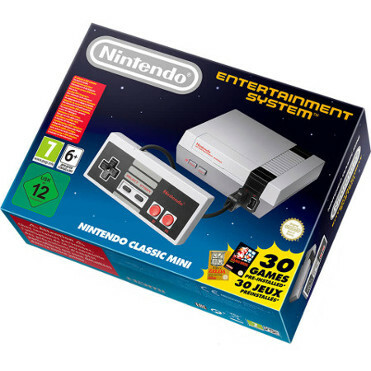 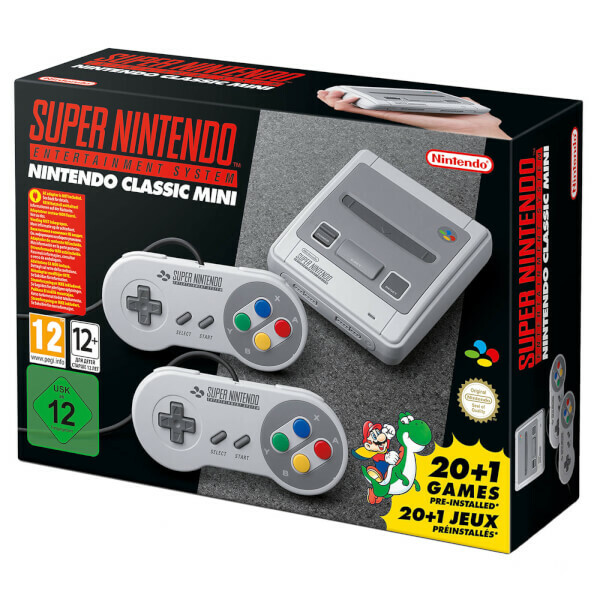 Nintendo Classic Mini: Super Nintendo Entertainment System - Mini console, massive comeback! 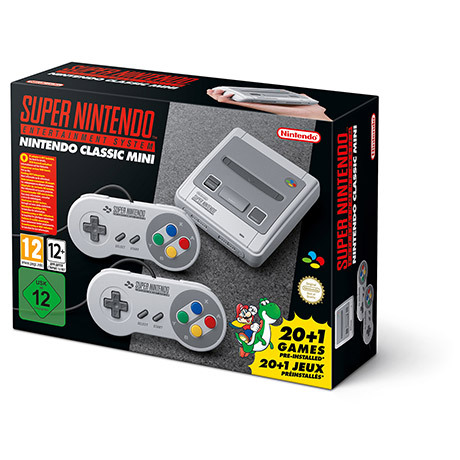 The console of a generation returns – Nintendo Classic Mini: Super Nintendo Entertainment System is out now!